David Cameron In Charge Of The Asylum Again! Here at Jammy Toast we use WhatsApp and Skype to communicate with some of our friends. WhatsApp is handy because some of the people we communicate with have pay-as-you-go contracts and are not always in credit meaning they can’t send text messages. Others we communicate with on Skype because it is cool to see them as we speak and can often have a laugh together. However, if rumour is to be believed this may soon come to an end as David Cameron and his government are planning on banning these messaging services because of the encryption the use. Some of the rumours may be difficult to believe but now even the Financial Times is backing the story up. 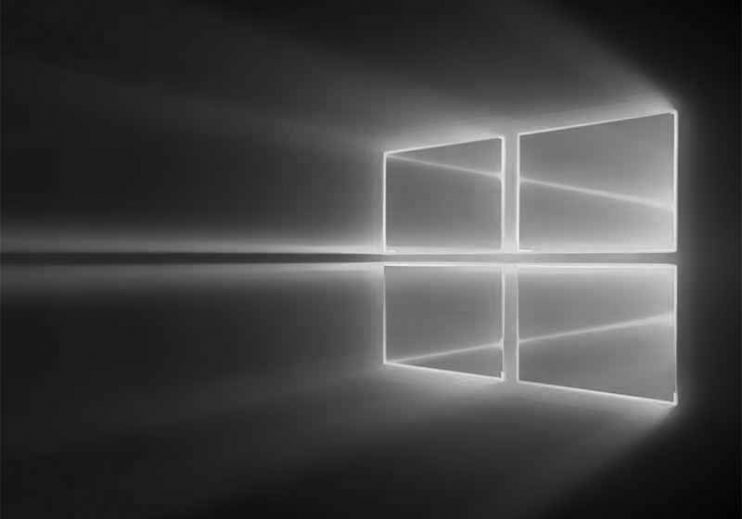 So the big day arrives here at Jammy Toast, as Windows 10 is finally released following months of waiting. Edward has been hard at work installing the new operating system and it has to be said everything appears to have gone relatively smoothly. Be warned it does take quite a while and when it says it has finished it is still working in the background. This means at first it seems sluggish but this is only because of the background activity. Once this is completed everything seems pretty similar to the way it was before. 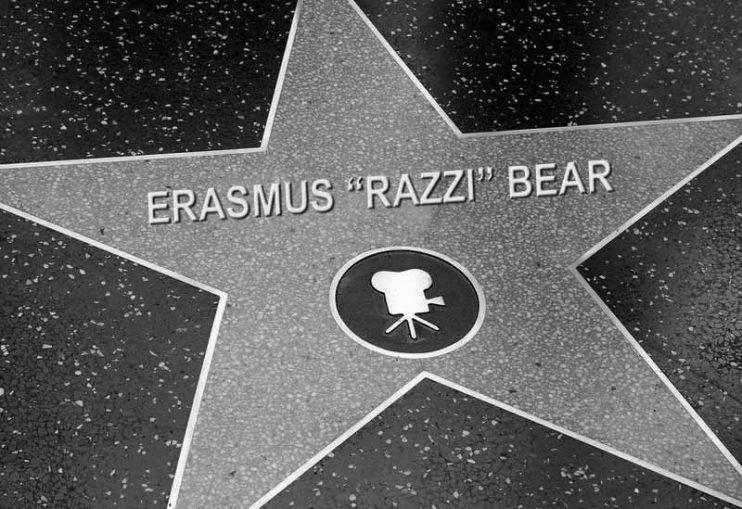 Razzi’s star will finally appear on Hollywood’s Walk of Fame next week. That’s not too much of a shock. 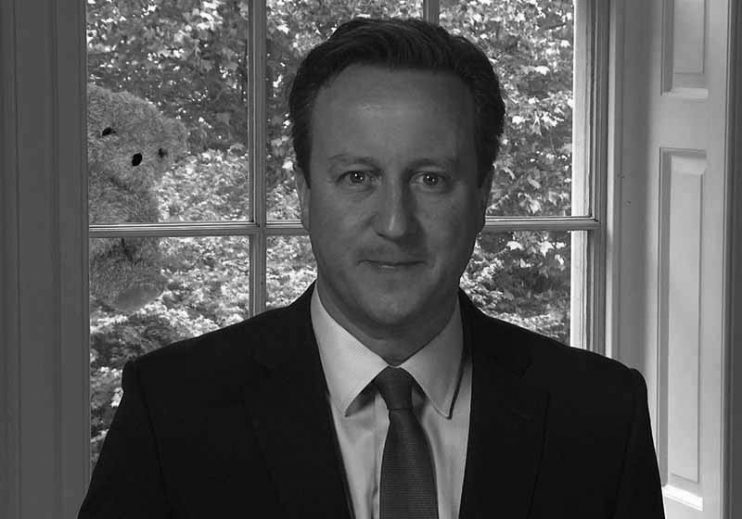 If anything we were a bit surprised he didn’t have one already – he is such a famous bear after all. But as Razzi becomes the 2,556th celebrity to get a star, here’s how you could become number 2,557. Well, in theory – we can’t promise anything. 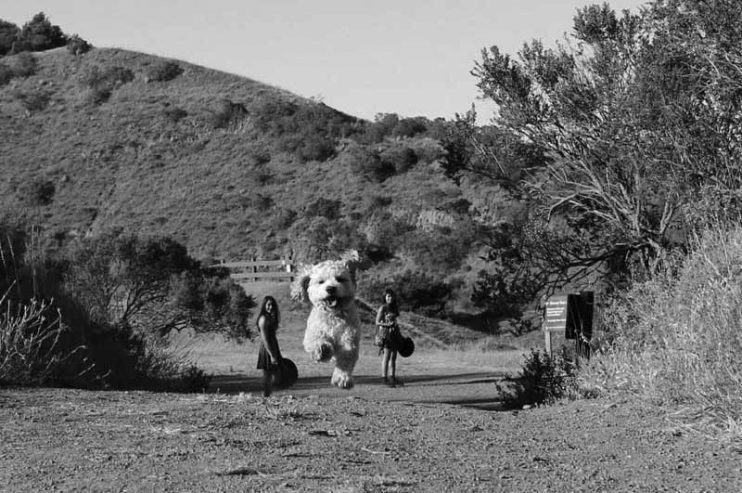 Here’s a great example of forced perspective that makes this dog look gigantic (either that or it’s Falkor). Forced perspective is a technique that employs optical illusion to make an object appear farther away, closer, larger or smaller than it actually is. It is used primarily in photography, filmmaking and architecture. It manipulates human visual perception through the use of scaled objects and the correlation between them and the vantage point of the spectator or camera. The world’s biggest pitbull cuddles up to his adorable new litter – valued at a whopping half-a-million dollars. The eight puppies were fathered by gentle giant Hulk, who weighs in at a huge 12 stone. And even though his owners say his bite could “snap a man’s arm like a toothpick”, he shows off his softer side by nuzzling up with his new brood. The eight pups could collectively command $500,000 (£320,000) if they go through owner Marlon Grennan’s training school to become elite protection dogs. And there are even hopes one of the new batch could one day grow big enough to steal their father’s crown. The harrowing picture above of an Alsatian shot dead after yet another “brutal” sheep attack shows dog owners what could happen to their pet. Ten sheep were killed after being savagely attacked by two dogs on farm land near Erlas Hall, Wrexham. 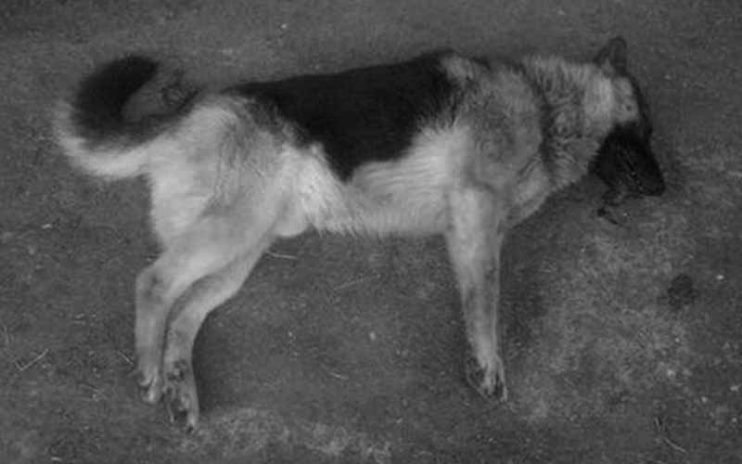 One of the two Alsatians involved – which were still carrying out their onslaught – was legally shot dead by the farmer who made the grim discovery shortly before 6.30am on Monday. 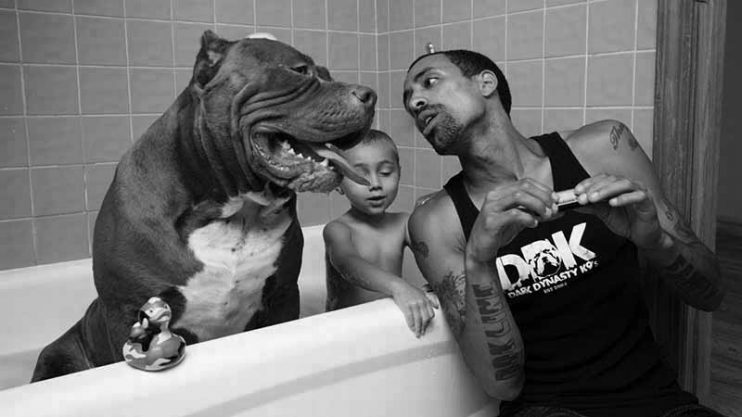 The other dog fled the scene and its owner has not yet been traced, according to the Daily Post. 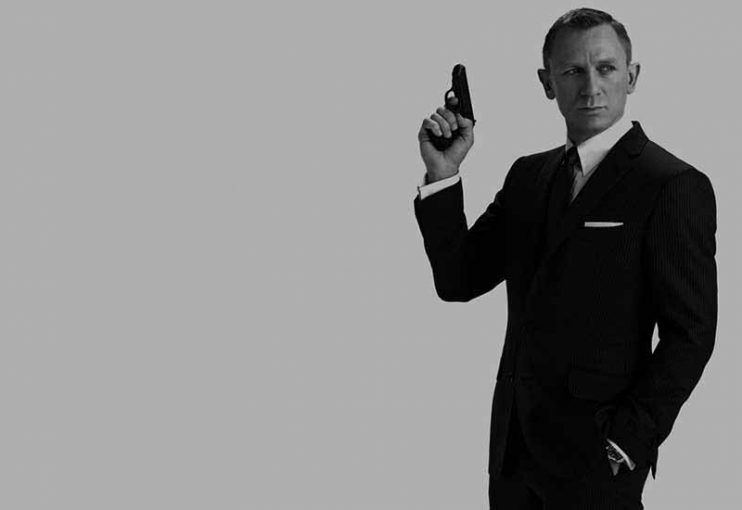 The first full-length trailer for the 24th official James Bond film, Spectre, has been released on YouTube. The two-and-a-half minute clip – which sees Daniel Craig reprise his role as the superspy for a fourth time – gives a closer look at the film after a teaser was released back in March. Featuring car chases, exploding planes and shady crime organisations, it bares all the hallmarks of the classic Bond genre.